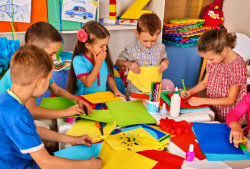 Childcare Center| Irvine, California | Little Leaderz Day Care, Inc.
Little Leaderz Day Care, Inc. believes that the development of a child is greatly influenced by the people and environment he or she is exposed to. So we crafted educational programs specially designed to shape young minds and help mold their own personalities. We see to it that our activities are nurturing and can stimulate their developmental milestones. Our staff members are highly skilled, trained, and compassionate in their field of expertise, making them the right persons to take care and educate our students. For enrollment inquiries, please contact us at 949-444-4624.